I have to say this is my new favorite blog. 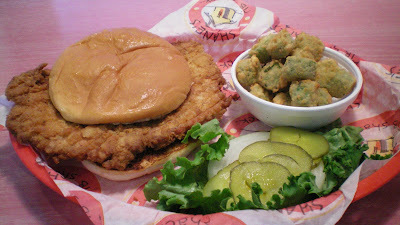 I have a complete fixation for fried pork tenderloin sandwiches since I grew up in southeast in and around Iowa City. Sometimes I just come and stare at the pictures for awhile. 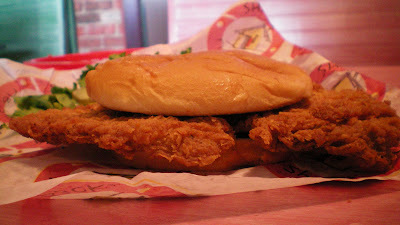 Here in Las Vegas and all over out west poeple have no idea, they aren't served anywhere. 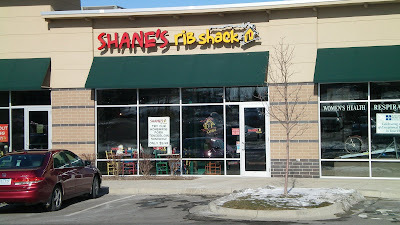 One place in town serves them but their service is so horrible you cant even get a damn sandwich. It's been 10 long years. I remember my last one from a bait shop right on the Skunk River in Oakland Mills, Iowa. 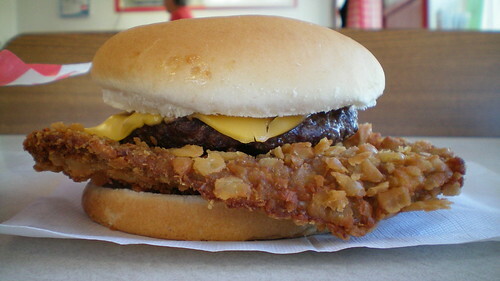 Bigger than the plate but not too thin, hot & juicy with lots of pickles,onions and mustard. 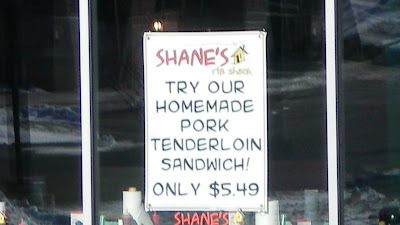 Then I saw this post for a Pork Tenderloin Sandwich being served at Shane's Rib Shack. 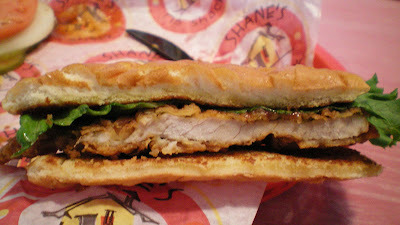 We have a Shane's here in Las VEgas and it's actually just up the street a few miles and now I'm hoping & praying that they are serving them nationwide and I can sink my teeth into one. I have added your blog as a link to my blog as well. Oui Oui monsieur, il est maintenant café servant des sandwichs Tartine petite et de la nourriture française dans un cadre décontracté pour rapidement les snobs arrogante graisse de Clive. Ils ont un hamburger qui ne coûte que dix dollars, c'est une excellente affaire dans une telle partie riche du monde. Les gens de la banlieue de Des Moines sont chanceux d'avoir Tartine et son chef merveilleuse français ici aujourd'hui. so Frenchie, did ya ever get to try one or not??? ?